Television-based interactive advertising has been a dream for so long it's almost humorous to recall the first chest beating heard from nacent cable operators about how it would revolutionize television. Of course, that revolution never took place and we're all still dreaming of the day with TV advertising truly becomes interactive. An agreement between TiVo and PayPal may take us one step closer to realizing at least a portion of the interactive television dream. The two companies, along with advertisers and agencies, are working towards developing PayPal-enabled ads that could hit screens as soon as this fall. 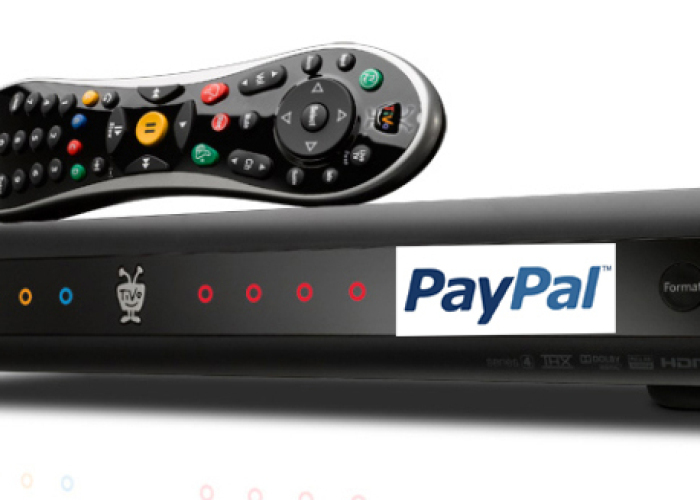 The system would allow viewers to connect their PayPal account to their TiVo account and use that connection to buy products within these specially enabled ads. The companies announced the partnership during this week's TV of Tomorrow conference.